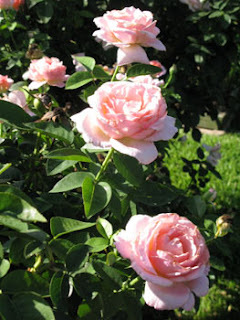 Over 100,000 people from around the world visit the Municipal Rose Garden in Tyler, Texas annually, and many of them will be there this weekend, October 14-15, for the annual Texas Rose Festival. 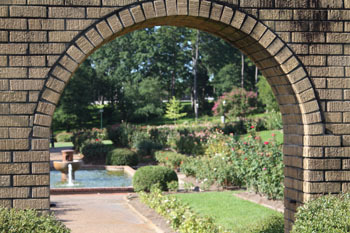 Nationally recognized, the Tyler Rose Garden is the largest municipal rose garden in the country. The 14-acre park is full of spectacular blooms, especially during spring and fall, although flowers in every hue decorate the park year round. More than 40,000 rose bushes displaying at least 500 different varieties turn this city-maintained site into an elegantly beautiful landscape, earning Tyler the title of "Rose Capital of the Nation." Paths meander through the Garden, past sculptures, benches, and water features that add interest. Specimens range from tall grafted rose trees to tiny miniature roses. In between are dozens of varieties of hybrid teas, grandifloras, shrub roses, climbing roses, and much more providing an amazing panorama of color. 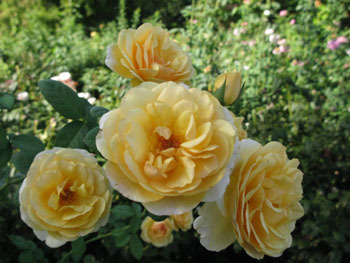 A section of 300 David Austin rose bushes, traditional English garden roses with multiple petal formations, was added to the garden in 2003. Nestled in the southwestern corner of the garden is the Heritage Rose and Sensory Garden. Here more than 50 varieties of hardy and colorful antique or heritage roses are showcased in an informal setting, along with many perennials that bloom all summer. The Garden is one of 24 All American Rose Selection (AARS) test gardens in the country where the newest varieties are evaluated over a two-year period. Avid gardeners can be seen taking notes on fragrance, color and form of their favorite varieties. Approximately one-fifth of all commercial rose bushes produced in the United States are grown in this county, while over one-half of the nation's rose bushes are packaged and shipped from this region. Learn background of the Rose Festival and history of the rose industry at the Tyler Rose Museum, which features interactive exhibits, music of marching bands, and recorded voices of former Rose Queens. Beautiful hand-sewn gowns dating from 1935 are displayed along with jeweled crowns and scepters and other memorabilia that relate to the Rose Festival.